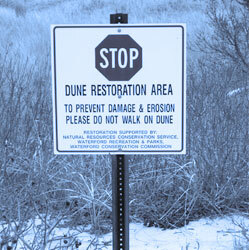 Preserving the natural elements of the shore while also providing protection from erosion. Connecting firm science with the decision-making needs of state and local leaders. Projecting changing precipitation patterns and future inland flooding in riverine communities. Mapping coastal flooding from waves, storm surge and high tide. Community climate adaptation policy and planning through research and analysis. Providing future sea level rise scenarios for Connecticut's coastline. 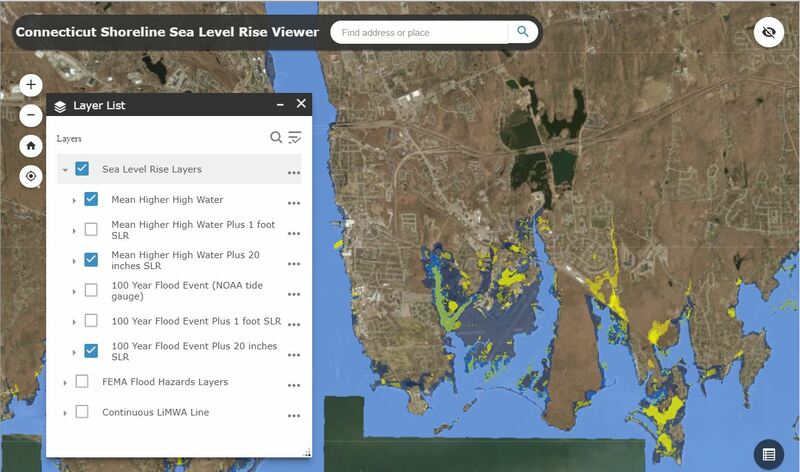 CIRCA's NEW map viewer shows different sea level rise projections (1 foot and 20 inches), above a Mean Higher High Water (MHHW) along the Connecticut coastline and the adjacent inland. 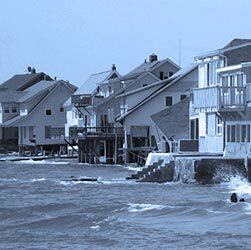 CIRCA research recommends that planning anticipates sea level will be 20 inches (50 cm) higher than the national tidal datum in Long Island Sound by 2050. 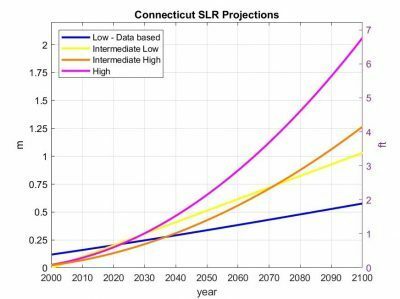 CIRCA’s report on Connecticut sea level rise provided the basis for projections in Bill S.B. 7, which was introduced into the 2018 legislative session and was enacted into law as Public Act 18-82. 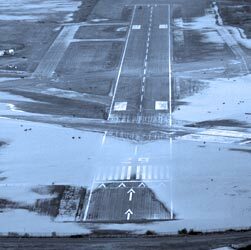 Based on the scenarios CIRCA recommends that Connecticut plan for the upper end of the range of values projected of sea level rise or up to 20 inches (50cm) of sea level rise higher than the national tidal datum in Long Island Sound by 2050 and that it is likely that sea level will continue to rise after that date. The Institute also recommended that the scenarios be updated at least every 10 years, or more frequently, to incorporate the best available science and new observations. Sea level rise projections for Connecticut based on local tide gage observations (blue), the IPCC (2013) RPC 4.5 model simulations near Long Island Sound (yellow line), the semi-empirical models (orange line) and ice budgets (magenta line) as in CPO-1. 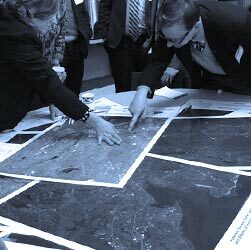 Learn more about the 18 projects awarded to Connecticut's municipalities and regional council of governments to move our state from planning to implementation of climate adaptation strategies. 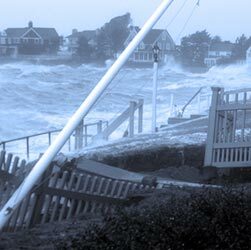 Learn more about the 9 matching funds grants awarded to Connecticut organizations, municipalities and researchers to leverage external funding programs to advance resilience in the state. Learn more about all of CIRCA's Research projects and products. 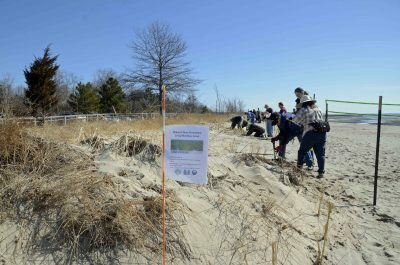 The Resilience Roundup is an e-newsletter including local, state, and national news clips on resilience and adaptation as well as resources , events, and funding announcements. The CIRCA Announcements list will send you notices of the latest CIRCA research, events, tools, grants, and engagement opportunities. 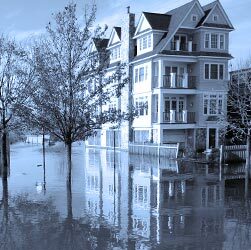 To stay in touch on a broad range of floodplain management issues subscribe to, The Torrent, an e-newsletter published by our partners at the Connecticut Department of Energy and Environmental Protection, Bureau of Water Protection and Land Reuse, Land and Water Resources Division. This calendar has no events scheduled at this time.